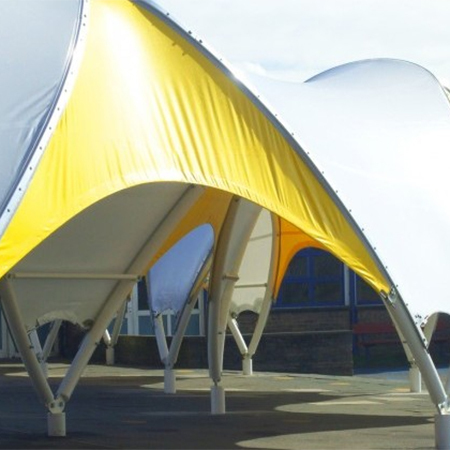 Fordingbridge has provided an animated caterpillar playground canopy for Thames View Junior School. 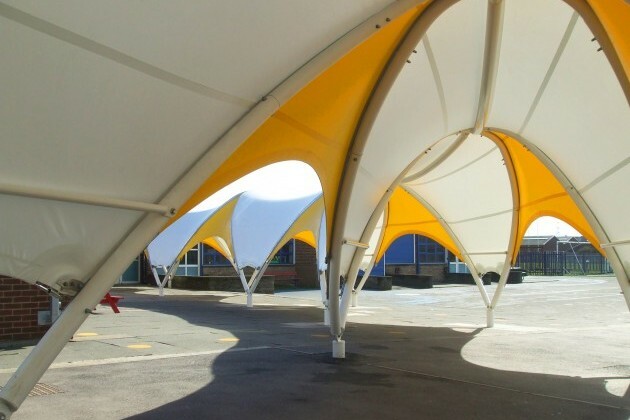 Fordingbridge worked alongside the architect, Andrew Price, to make his vision for this playground canopy come to reality. 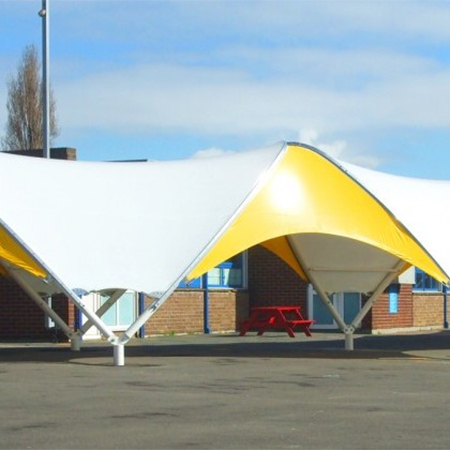 The architect’s inspiration stemmed from a similar design at the RAF Museum in Hendon, although this project posed new challenges due to the eccentric curving of the of the tubular steel sections. 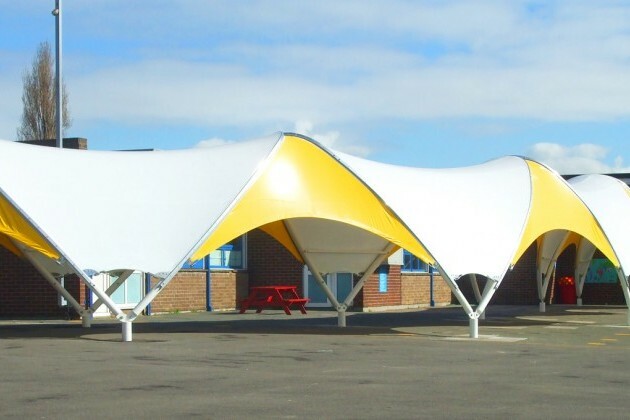 Andrew Price was involved throughout the whole design and build process. 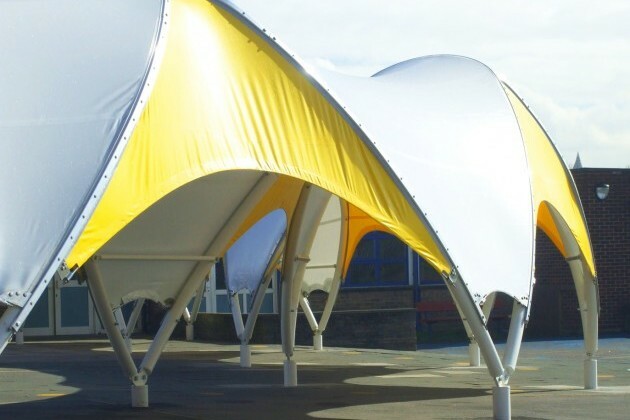 The coloured fabric illustrates the architect’s vision of a caterpillar, as well as Fordingbridge’s array of fabric colours available. At Fordingbridge they are passionate about providing the best environment for their clients. 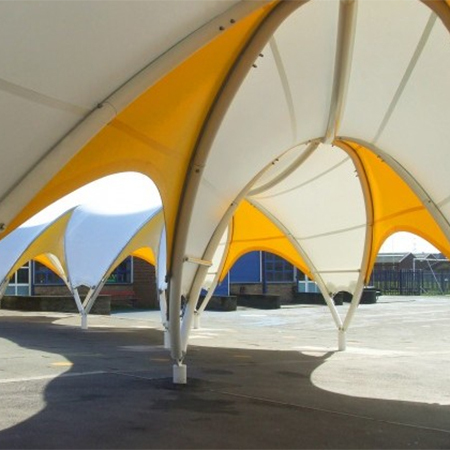 Fordingbridge work with you to create canopy solutions that suit your site.